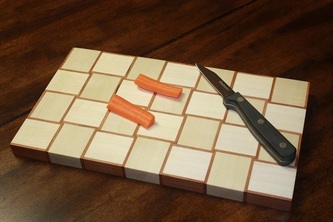 Upon request I do build solid hard wood cutting boards from time to time. 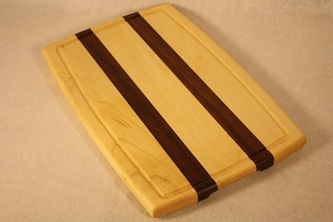 I only use non oily closed grained hard woods for my cutting board builds. 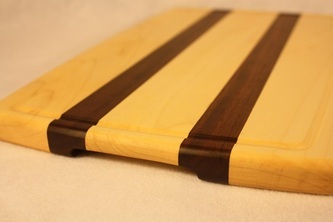 Most common stock used is maple, cherry, walnut, and purple heart. 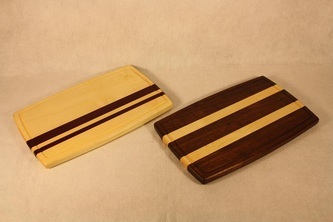 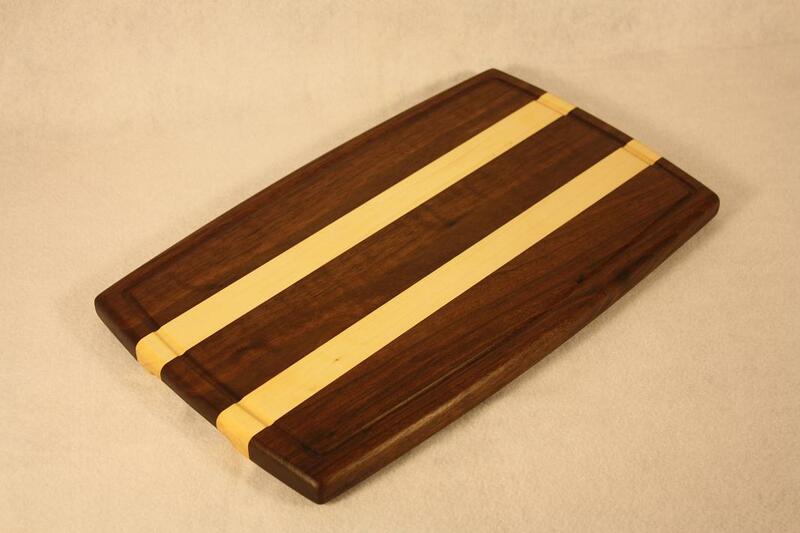 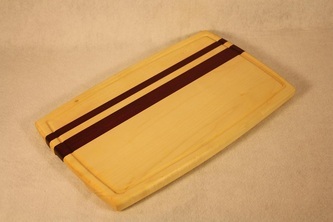 I finish my cutting boards with a mixture of mineral oil and bees wax. 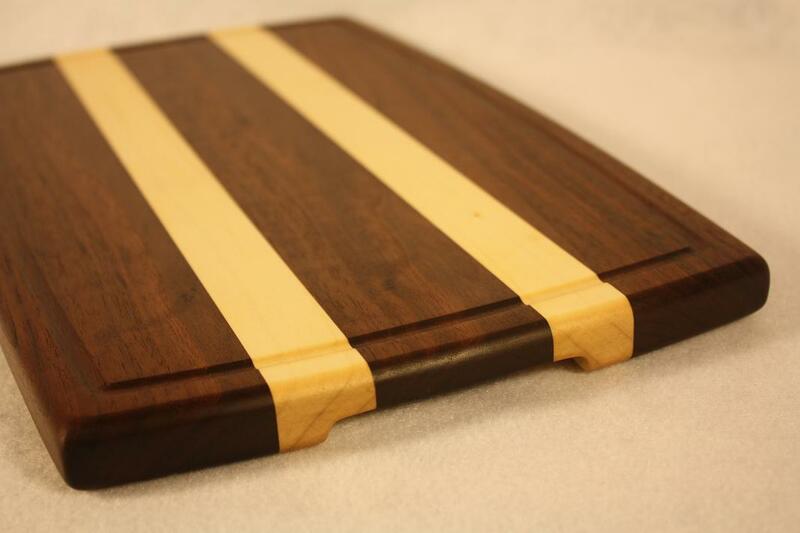 This not only seals and help protect the wood from stains, odors, and bacteria but also forms a pater resistant barrier (though not water proof).